This reveals so much about Ben. With the very first statement, Ben is postulating himself as an authority on the wants of the American People. He must do this in order to discredit Alexandria’s previous inspirational message to the American People ‘loving a challenge.’ By calling it their ‘moonshot’, Alexandria tells the People it Will be challenging – but it Will be worth it! Ben has to do something to take the wind out of her ‘sale’ so the People won’t buy into it. First he tells his audience American’s love a challenge. Then Ben plays a very clever, manipulative, psychological trick; he becomes the American’s with his follow up line, ‘We do like a challenge’, are the next words out of his mouth. Not an American, he’s now become the American’s and is speaking for the collective by using ‘We’. Now, he can go in for the kill, ‘You know what We don’t like?’ Trust Me, this is not a small detail and not accidental. 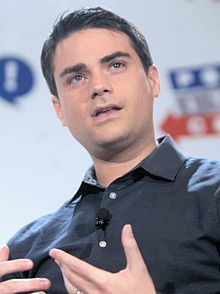 In just a few short sentences, Ben is suggesting that Alexandria is not American by using We to define ‘the American’s’, including himself in that group, then with ‘do You know what We don’t like?’, he is excluding her from that group, the ‘We’ that Ben defined previously to be ‘the American’s’. The man’s a professional shill. It is a calculated psychological attack on his audience as much as it’s an attack on Alexandria’s New Green Plan! The attack was designed to brainwash his viewers into believing that Alexandria does not represent the American People when in reality, she’s likely the only one in congress who does. Ben and his buddies have an agenda to discredit Alexandria Ocasio-Cortez, likely because Ben’s buddies are big business owners with a vested interest in fossil fuels. I would suggest that anyone who is not on board with her Plan, needs a serious self evaluation and should probably seek professional psychological assistance. And no, I’m not joking. Let Me remind My readers of Alexandria’s Vision for the American People in point form. The reality behind these Ideas? There is no loss of jobs because the conversion to clean energy solutions would be a shift in labour, not the annihilation of it! New markets spawn Creativity and an entrepreneurial Golden Age would emerge from individuals wanting to take advantage of the new markets. Maybe Ben doesn’t understand how the economy works, but a Sovereign country can Create as much wealth as it wants for its People for infrastructure and industry, and it can do so interest free – that’s actually part of what it means to be a Sovereign nation – no dependency on, and independent of; foreign interests and private corporations, the right to mint it’s own coin. So if America’s private lender, the Federal Reserve doesn’t want to loan the money at interest, then maybe America should consider kicking them out, regaining its Sovereign independence and mint its own coin for this realm… Hmmm, what do You think, Ben – or are You still tripping over what it means to be Sovereign? An unconditional minimum basic income is something I am passionate about, too – at least until the world grows up enough to realize We don’t need money at all. Until then, a minimum basic income would vastly reduce crime and drug use, mental health would improve, addiction issues would decrease, physical health would improve with access to appropriate treatment, and when People have everything they need to thrive, typically, they want to Give back. As far as Ben wanting to know what kind of return the American People would get on their investment? Well, I think eliminating poverty and homelessness is pretty huge, clean air and water sounds pretty Good, I’m not entirely sure what the downside would be. I guess Ben doesn’t consider these things to be of any value to the American People? I’m not so sure the American People would agree and think it’s pretty arrogant for Ben to presume he speaks for them, though. Some People with capitalist Ideologies believe that a minimum basic income allowance would induce laziness and end the stigma of poverty – it wouldn’t. The stigma that has been placed on the shoulders of those subject to poverty is a social pressure that won’t easily be relieved. Sadly, People don’t have to be on the streets or homeless to be looked down on by society. The stigma of being on any kind of government assistance Will last for generations and nobody wants to be condescended by their peers. This is one example of what Will motivate People to work when their basic needs are met. Another, is that People Will be that much more likely to find that Special Gift each of Us have to share with the world, launch an entrepreneurial venture, and begin doing something We love (like You, Ben – something tells Me You really enjoy what You do, though I guess You don’t believe that everyone else has the right to do a job they love, too?). I think Ben’s just angry. He has his own show and everything, he’s considered an expert political consultant, but he can’t seem to get in the game, the best he can do is heckle from the sidelines Ideas and Plans of People who are actually making things happen and being the change they Dream to see in the world. That’s why he’s so angry with Alexandria – he’s just jealous, let the boy have his tantrum. Anyway, this was fun for Me, Ben – and I hope entertaining and at least somewhat informative for My audience.